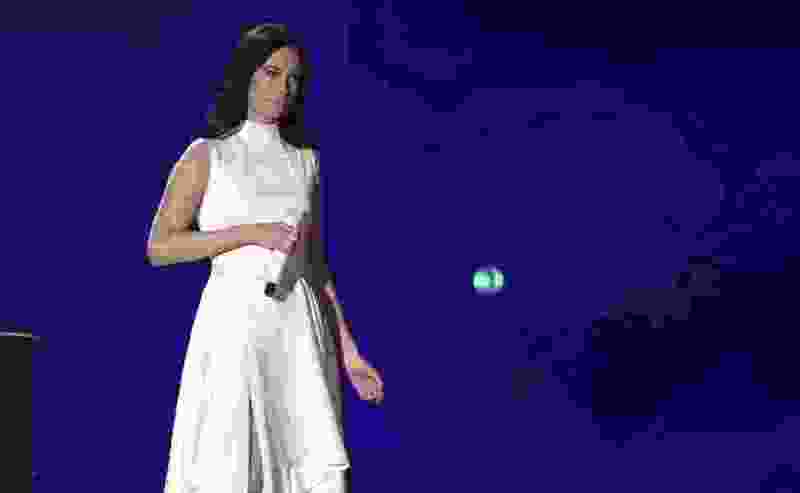 (Photo by Matt Sayles | Invision/AP) Kacey Musgraves performs "Rainbow" at the 61st annual Grammy Awards on Sunday, Feb. 10, 2019, in Los Angeles. Los Angeles • Women returned at the Grammys on Sunday as female acts won album of the year and best new artist, while rap also triumphed, with Childish Gambino’s “This Is America” becoming the first rap-based song to win record and song of the year. 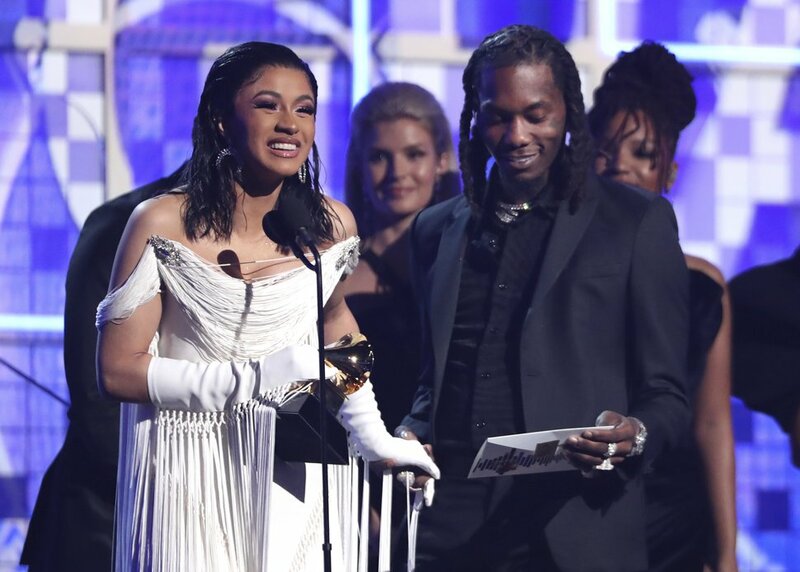 (Photo by Matt Sayles | Invision/AP) Cardi B, left, accepts the award for best rap album for "Invasion of Privacy" as Offset looks on at the 61st annual Grammy Awards on Sunday, Feb. 10, 2019, in Los Angeles. But this year, Gaga and Brandi Carlile won three Grammys each, and Musgraves earned four. Women had a strong presence in the top categories. Five of the eight album-of-the-year nominees were women, including Carlile’s “By the Way, I Forgive You,” Janelle Monae’s “Dirty Computer,” Cardi B’s “Invasion of Privacy” and H.E.R.‘s self-titled album were also in contention. Portnow, who didn’t seek a renewal on his contract that ends this year, seemed to address his words from last year during Sunday’s show. There was a tie for best rap performance, and Drake was surprisingly not one of the winners. Drake’s “Nice for What” lost to Anderson Paak’s “Bubblin‘” and Kendrick Lamar, Jay Rock, Future and James Blake’s “King’s Dead,” from the “Black Panther” soundtrack.